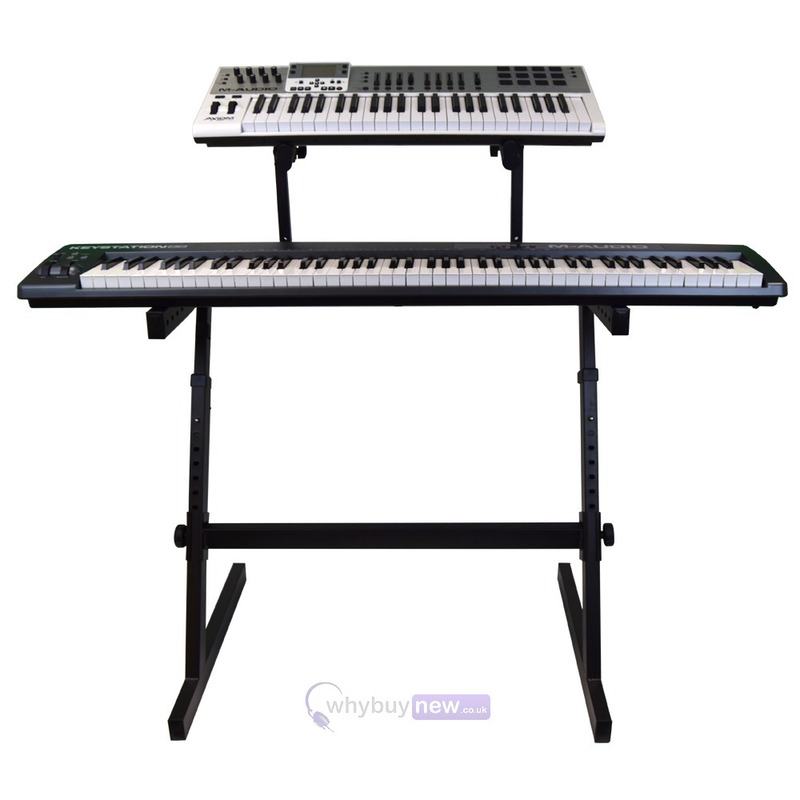 The Gorilla GKS-500 High-End two tier Keyboard Workstation is ideal for a band or studio and features extreme build quality at an affordable price. 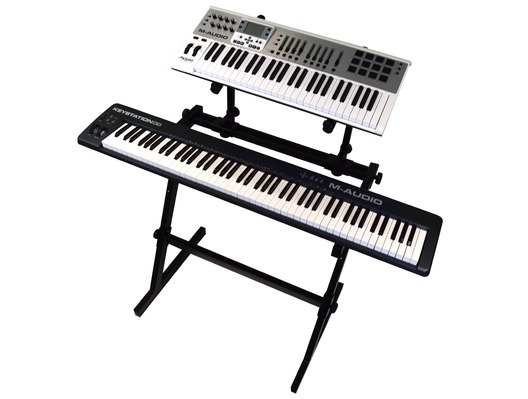 The GKS-500 offers everything the professional keyboard player will need including the facility for up to two keyboards or one keyboard and a laptop computer. 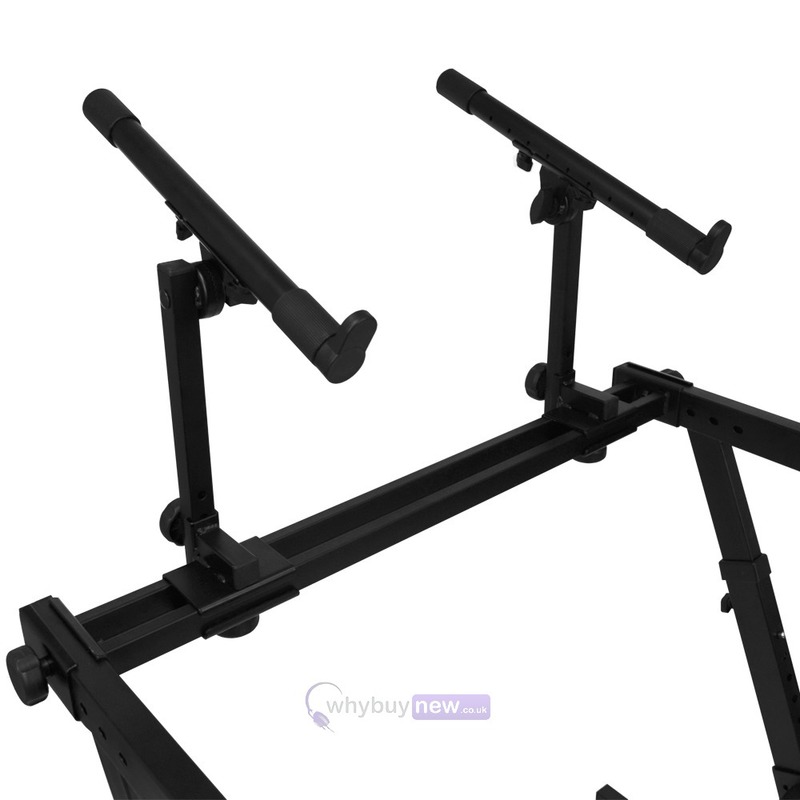 This superb 2 tier keyboard stand not only features it's awesome build quality but is also very easy to transport, thanks to it's clever design whereby it assembles and disassembles fast! Think VERSATILITY! 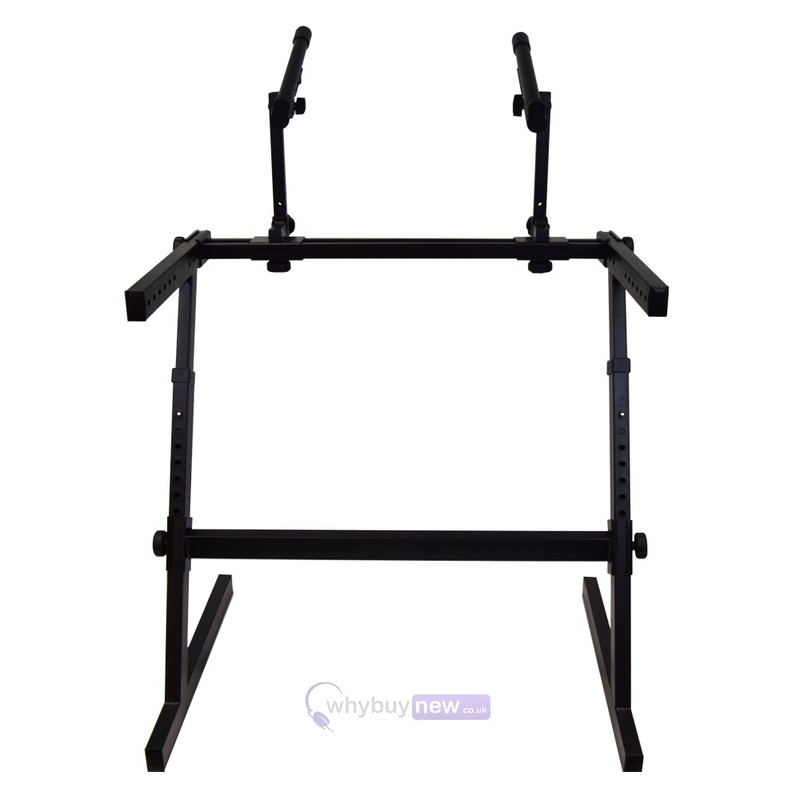 This compact stand can hold a total of 150kgs, allows for independent height or width adjustments, and folds for easy storage. 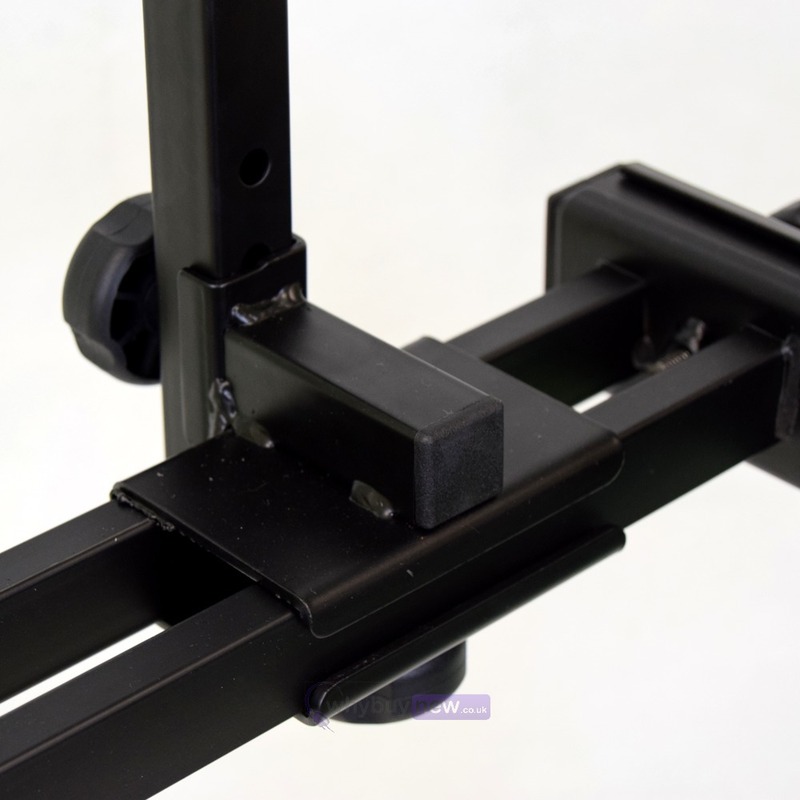 The unique Z-frame allows playing from either side and can be broken down and locked together for transport. 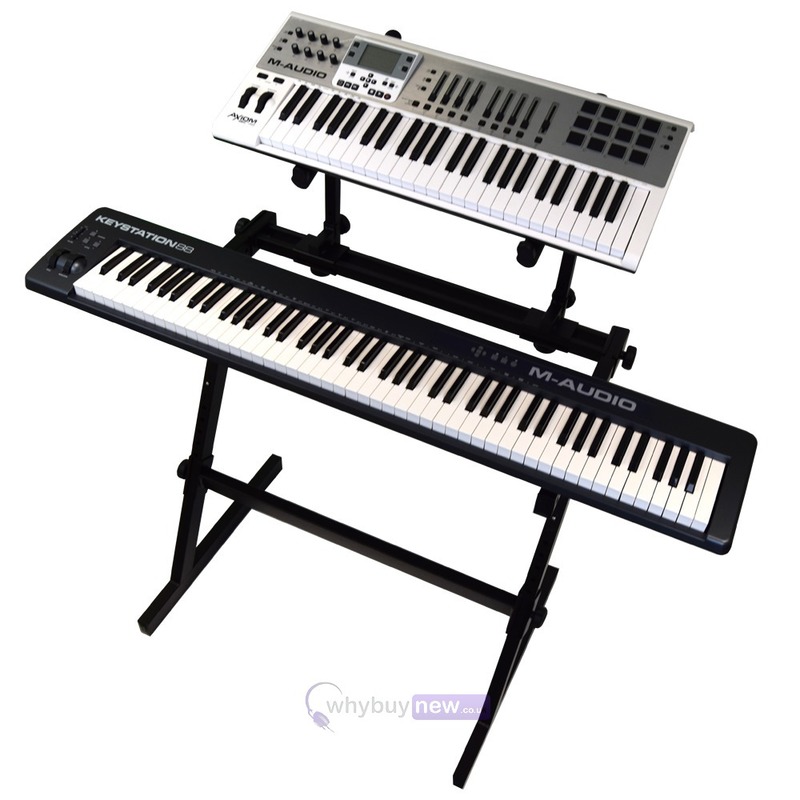 This model can hold 49-key keyboards in the compact position and up to 88-key keyboards at its maximum width. 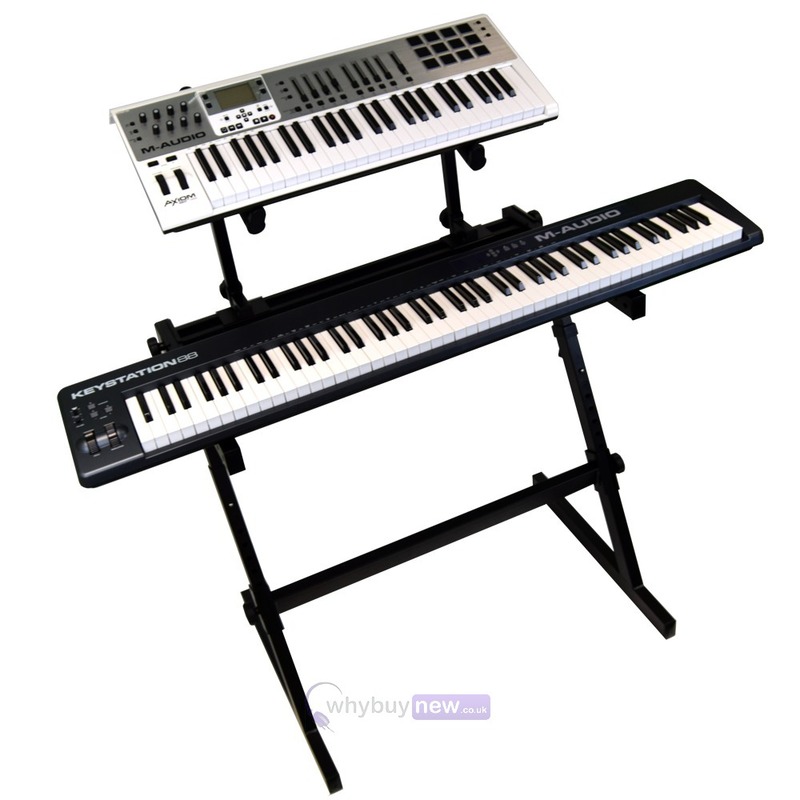 The latest, modern shape of the GKS-500 brings the keyboard player out from behind the traditional no-character keyboard stands, and into the spotlight with the rest of the band. 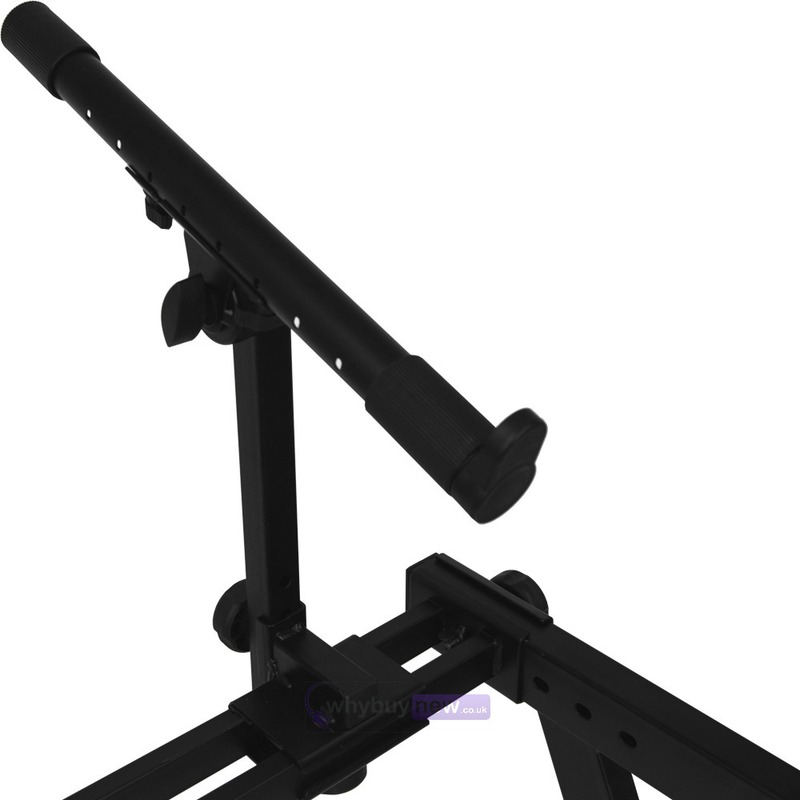 Alternatively, can be used in the studio. 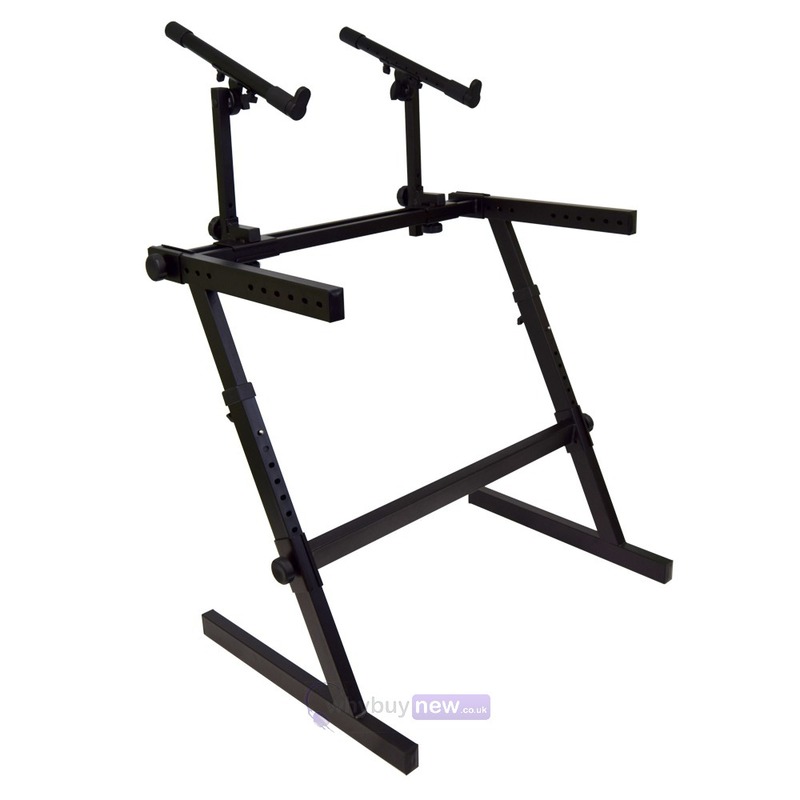 Here we have the Gorilla GKS-500 Two Tier Keyboard / Piano Stand Workstation in brand new condition and in B-Stock. 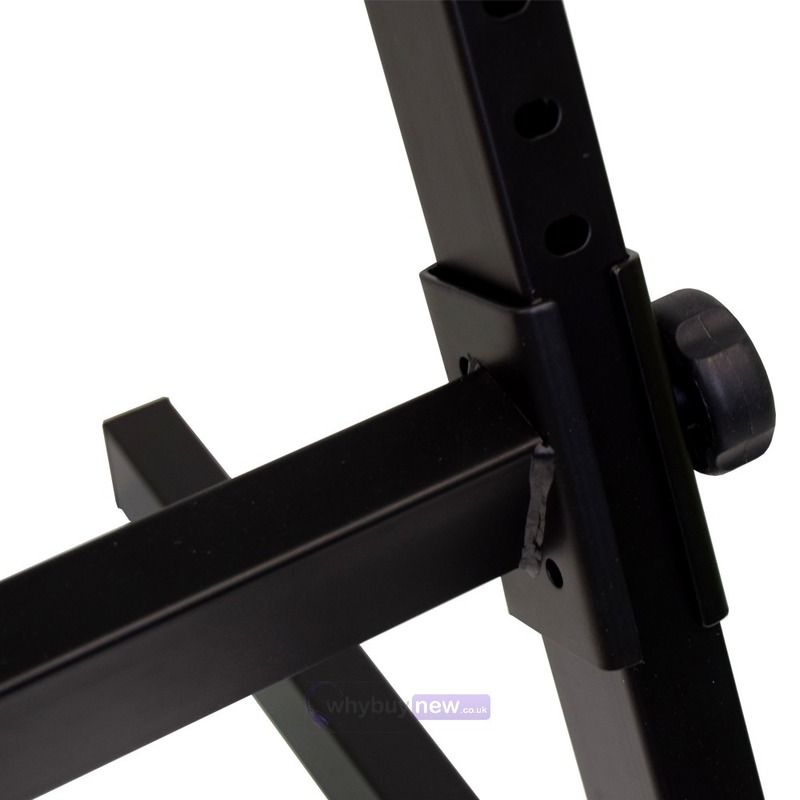 This B-Stock version is brand new but has had two of the black knobs replaced with silver bolts. It still works exactly as it should. Please note: Keyboards are not included and are for illustration purposes only.